The winter break in the Russian Premier Liga always creates a big footballing void. In the past tournaments like the Channel One Cup have filled the winter football void in an attempt to provide a competitive environment for Russian clubs ahead of the restart of the European season. This season is no different. Lokomotiv Moscow, Spartak Moscow, Zenit and Rostov are currently playing for the Match TV Cup in Qatar – a tournament that kicked off on January 21 and will last until January 29. Sponsored by the Russian television company Match TV, which in turn is owned by the Gazprom-Media Holding, are organising the tournament. Matches are played at the grounds of the Qatar Aspire Academy, and the winner will receive up to €200,000. The tournament in some ways has brought back memories to the Channel One Cup, which was held between 2009 and 2009 in Israel and the United Tournament, which was played in 2013 and 2014. Like the Match TV Cup, the Channel One Cup tournaments were staged in the Middle East. Sponsored by Chelsea owner Roman Abramovich the Channel One Cup, which should not be confused with the hockey tournament of the same name, the initial tournament had a prize fund of $2 million with the winner receiving $1 million. “The idea of the tournament belongs to Roman Abramovich and inspired by the nostalgic memories of the Championship of the USSR, which was very strong and extremely interesting,” said Sergei Kapkov, one of the organisers. The first edition was played in 2006, and all games took place in Tel Aviv. The participants were the Russian and Ukrainian champions and runners-up: CSKA Moscow, Spartak Moscow, Dynamo Kyiv and Shakhtar Donetsk. Played in a round-robin format, but strangely with each participant only playing two games rather than three, the tournament was won by Shakhtar — the Ukrainians beat CSKA 3-1 and Spartak 2-1 to finish first. Brazilian striker Brandão, in particular, stood out. 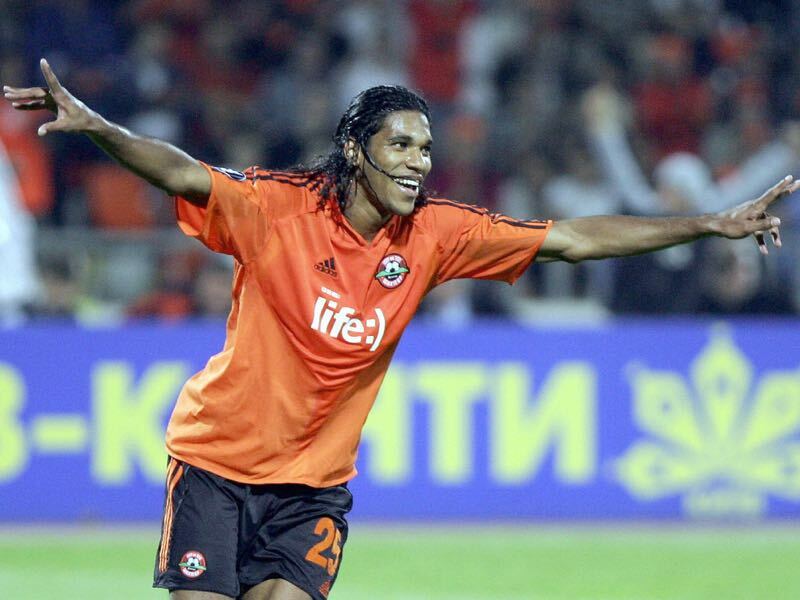 A Shakhtar legend, who would score 65 goals in 140 games for the Ukrainians Brandão scored three goals to win the golden boot. In 2007 the Israeli sides Maccabi Haifa and Hapoel Tel Aviv were added to the tournament. The prize fund was extended to $8 million, and the teams were divided into two groups with the winners facing one another in the final. Spartak won Group A, which included Maccabi and Dynamo Kyiv and CSKA best Shakhtar and Hapoel to win Group B. The two then met in the final where the Brazilian Jô decided the match in the 120′ minute after CSKA and Spartak had scored two goals each in regular time. Then in 2008, it was the Ukrainians, who stole the show. Without the Russian champions, Zenit declined to take part; the tournament was challenged by Spartak, CSKA, Dynamo Kyiv and Shakhtar once again. The four post-Soviet clubs were joined by Crvena zvezda from Serbia and the Israeli side Beitar Jerusalem. Once again the teams were divided into two groups, which were won by Shakhtar and Dynamo. In the final, the two sides fought each other to a stalemate and Fernandinho seemed to have won it in the 86′ minute when he sent a penalty across the line. But Ayila Yussuf equalised for Dynamo in the 93′ minute. Maksim Shatskikh then scored in the 105′ minute of overtime, but this time it was Shakhtar to strike back with the current Manchester City midfielder Fernandinho once again sending home a penalty in the 118′ minute. Ultimately, Dynamo would seal the deal in a penalty shootout in front of 7000 fans at the Bloomfield in Tel-Aviv. The Ukrainians would be the third and final champions of the Channel One Cup. The following year the financial crisis that hit the global markets put a severe strain on Roman Abramovich and the tournament had to be cancelled. The Unified Cup – A Prelude to a Post-Soviet Championship? Russian football, in particular, was stricken by the financial crisis. An emerging market in the early 2000s, similar to the Chinese Super League in the 2010s, Russian clubs were confronted with a drop in the value of the rouble but also a slow down in investment opportunities. Yet there was a big appetite for post-Soviet tournaments. On average 5.5 million Russians tuned in to the Channel One Cup. Thirteen million people watched the final of the 2009 edition. There was a market, but unfortunately no money. Hence, for four years there would be no major tournament involving the biggest clubs from the post-Soviet space. In 2012 UEFA gave the green light to the BeNe League, a top division for women’s teams playing in Belgium and the Netherlands. It was seen as a precedent that could lead to more countries unifying their national championships. “This will allow the unification of championships,” Yevgeni Giner, the President of CSKA Moscow, later said. Sponsored by Gazprom, the idea was to create a league that would include many of the biggest clubs from the post-Soviet space similar to the Kontinental Hockey League (for more on the proposed Unified League click HERE). The Russians and Ukrainians were not alone in their proposal. Other leagues would follow suit with the Balkan leagues, in particular, discussing a potential merger. To test the water of a potential merger of the most prominent Ukrainian leagues the organisers put on two tournaments in 2013 and 2014. Called the United Tournament in 2013 and the United Supercup in 2014. As a prelude, the Russian champions Zenit and the Ukrainian champions Shakhtar Donetsk met at the Al-Wasl Stadium in Abu Dhabi in the Super Cup of Champions. Shakhtar would ultimately dominate that match with Henrikh Mkhitaryan scoring twice and Eduardo providing the third in Shakhtar’s 3-1 victory — Konstantin Zyryanov scored for the Russians. Then in the summer of 2013 Shakhtar, Dynamo Kyiv, Zenit and Spartak Moscow faced each other in the 2013 United Tournament. Games were played at the Eduard Streltsov Stadium in Moscow, the Donbass Arena in Donetsk and the OSC Olimpiyskyi in Kyiv. Attendance ranged from 8,000 for the opening game between Spartak and Dynamo to 51,300 for the final, which once again saw Dynamo play Spartak — the Ukrainians won the match 2-1. The tournament was a big success and just half a year later Shakhtar, Metalist Kharkiv, CSKA Moscow and Zenit would meet in Israel to play for the United Supercup. It was then reported that three million Russians tuned into the live broadcasts of the matches. That winter, however, political developments would end the dream of a post-Soviet unified championship. Revolution in Ukraine that saw the pro-Russian President Viktor Yanukovych replaced by Petro Poroshenko saw a strong reaction by Russia. Within a few months of the 2014 United Supercup, the Crimea was occupied and later annexed by Russia. Furthermore, Russia also intervened militarily in the Donbass and, as a result, Shakhtar were no longer able to play their home games at the Donbass Arena — the club remains in exile to the present day. The Russian Premier League has since approached other post-Soviet leagues and signed a cooperation agreement with the Kazakhstan Premier League. But the dream of creating a strong professional football league, backed by a €1 billion promise made by Gazprom was over. In fact, nowadays any competitive fixtures between the two countries are unthinkable. UEFA strictly keeps the two countries apart and it would take a Russian-Ukrainian final in a club competition for the European governing body to allow a game between the two nations to take place. Timo Werner – In demand, but on the move?